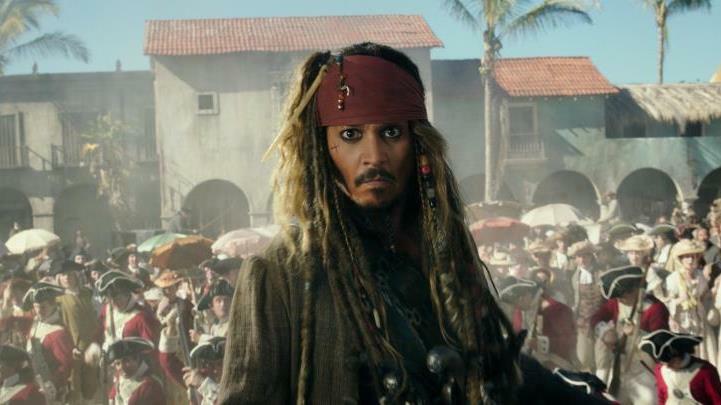 Many were shocked when it was revealed that Disney had been the target of a hacker attack, and that their eagerly-anticipated Pirates of the Caribbean 5 movie could end up leaking online ahead of its release date later this May. So what went on in this hacker attack? Here follow the top things to know about the Pirates of the Caribbean 5 hacker ransom attack. Basically, a group of hackers has gotten hold of the upcoming Pirates of the Caribbean: Dead Men Tell No Tales movie. They are demanding that producer Disney pay a ransom, or else they will release the movie online… And as a character says in the original Pirates of the Caribbean movie “there’s no honour amongst thieves”, so you can expect these cyber vandals will follow through on their threat (unless Disney chooses to pay up, that is). It all began last Monday, when Disney CEO Bob Iger told ABC employees during a town hall meeting that hackers had indeed gotten hold of one of their movies. Later, news outlet Deadline revealed the movie in question was indeed the fifth film in the Pirates of the Caribbean franchise. As to how this could have happened, we need to bear in mind that although a company like Disney has state of the art security in place, this is likely not the case with some of the smaller companies they deal with. Actually, smaller firms involved in post-production or distribution could be quite an easy target for experienced hackers, and this is likely the way these online delinquents got hold of a copy before the movie hit the theatres. What do these hackers want and how will they release the movie? This unidentified hacker group is demanding to be paid a hefty sum, not in a currency like the US dollar, but in bitcoin. This is a digital currency introduced in 2009, and surely these crooks are demanding payment in this manner in order to make it harder for the authorities to track them down. But since Disney has no intention of paying the ransom according to The Hollywood Reporter, it’s likely the thieves will release the movie online before its premiere on May 26, which happens to be Friday next week. They will reportedly do so in increments as a way to coerce Disney into paying, but given that the Mickey Mouse company has no intention of fattening the hackers’ bank accounts, you can expect the full movie to end up in one of the many pirate websites out there. So it’s very likely a pirated copy Pirates of the Caribbean 5 will ironically end up in the likes of The Pirate Bay, the infamous Swedish file sharing website that the authorities have time and again tried to close down, but without success. Hard to tell, because hackers almost never use their real names online (unless they are fools that is). And the hacker group demanding a ransom for not releasing the latest Pirates of the Caribbean flick does not appear to have identified itself in any way to date. But bear in mind that all this comes in the wake of the recent cyberattack which has targeted hundreds of thousands of computers worldwide. The goal of that attack, which targeted computers in UK hospitals and businesses (amongst others) was to demand a ransom like in the Pirates of the Caribbean hacker theft. And the press has begun speculating that North Korea could be responsible, with the likes of TIME highlighting the nation’s hacking prowess in a recent article, stating the country has a legion of hackers working around the clock and that extorting money from the West is now part of the rogue nation’s strategy. Although given how high-profile and seemingly sophisticated the whole thing has been, it’s likely the shady lot behind this have plenty of means at their disposal, and could be sponsored by a country somewhere.